On November 15, 2000 the Field Club Historic District was officially listed on the National Register of Historic Places by the United States Department of the Interior and the National Parks Service. The factual information in the below article came from the Field Club National Register of Historic Places application. It is based on the research of primary recources I did over a two year period from 1998-2000 and was written by myself, Melissa Dirr, and Jill Ebers of the Nebraska State Preservation Office. It was my honor to work with Melissa and Jill and many others during that time. I hope you enjoy the story of the development of the neighborhood. Orange is the Future Field Club District. Green lines are streets added in later development. Once the city of Omaha was well established and growth of the city began pushing westward, the rural areas immediately adjacent to the settled town were platted for settlement. James G. Megeath and city founder Andrew Jackson Hanscom helped push the limits of the city with their donation of 57.5 acres of rural land just on the edges of the town. Their trolley line, the public transport of the day, already extended out to this undeveloped land. The trolley helped to establish a Park and Boulevard system, and at the same time established large lots prime for well-to-do Omahans seeking to build new homes and get away from the hub-bub of downtown activity. This was the impetus of settlement in the Field Club neighborhood. The first phase in the development of the Field Club neighborhood was characterized by large Queen Anne style homes from the lavish Victorian Era. These are located along the edges of Hanscom Park and are perched on a hill that allows the homes to look into the park. It was only when the streets in the area were platted around the turn of the century, thus establishing a large green boulevard (Woolworth Boulevard), and the Field Club started hosting sporting activities, did the neighborhood begin to take shape. Of the three major developmental phases in this neighborhood, the most intensive took place during the period between 1900 and the mid-1920s. This development took place along Woolworth Boulevard that bisects the northern and southern sections of the Field Club neighborhood. Woolworth Boulevard and the six blocks within the neighborhood boundaries that lie north of it were developed in a flurry of building from approximately 1905 through 1920. It was during this time that Woolworth became the main street of the neighborhood. Stately architect designed houses were constructed throughout the neighborhood at this time. Some of the top architects in Omaha were involved in developing this area, namely John McDonald, F.A. Henninger, and Fisher and Lawrie to name only a few. John McDonald, designer of both the Joslyn Castle (listed NRHP 1972) and the Joslyn Memorial Art Gallery, was commissioned to design six houses in the Field Club neighborhood. His versatility as a designer is demonstrated in the variety of styles he contributed to the landscape of the neighborhood, including Chateauesque, Colonial Revival, a standard foursquare, and an eclectic Mission Revival house. The architectural firm of Fisher and Lawrie contributed ten homes between the years 1906 and 1909. While the majority of these houses are in the form of a standard foursquare, they are ornately embellished with a wide variety of design details like ionic columns, dentil moldings, half timbering, garrisoned corners, and some gothic detailing. By far the most prolific architect to play a part in the creating the design character of the Field Club neighborhood is Frederick A. Henninger. Designing twenty-seven homes for the area between the years 1900 and 1927, Henninger’s career spanned almost three decades of design ranging from Queen Annes to Mission, Tudor and Colonial Revivals. 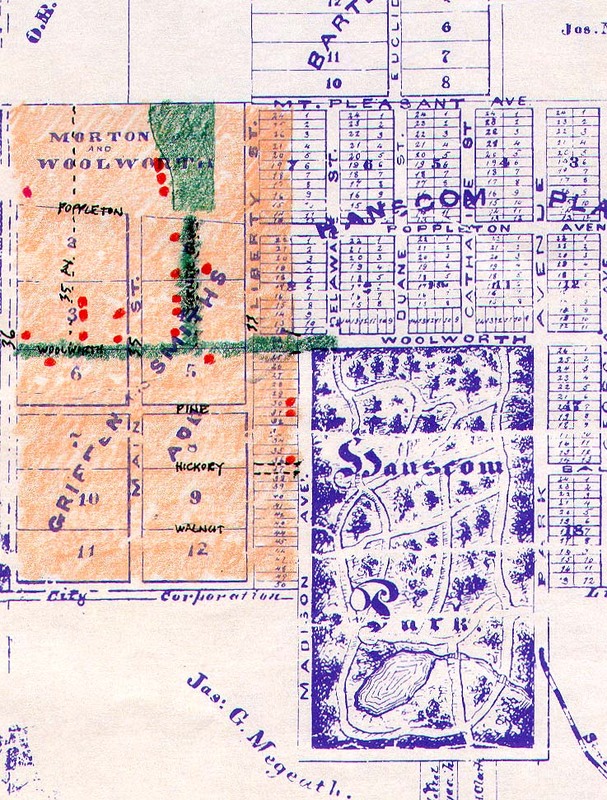 While these architects were designing unique homes for wealthy patrons, typically north of Woolworth Boulevard, professional builders bought blocks of lots south of Woolworth and developed multiple lots at a time. Prominent among these builders were Norris and Norris, who started developing in the Field Club in 1914. Norris and Norris built thirty of the houses in the Field Club in the blocks east of the school. T. B. Campbell also began developing in the neighborhood during this period. Campbell contributed thirteen houses to the Field Club north and south of the Field Club School. At the same time, there were also smaller building companies like the Minkin Brothers, Henningsen Engineering, and Skagman Builders, who were responsible for building several houses scattered around the neighborhood on both sides of Woolworth Boulevard. These houses were, of necessity, more basic in plan and style than the individually developed houses north of Woolworth. Their cookie cutter nature attracted members of the middle class to live in an elite neighborhood that they otherwise would have found difficult to afford. Building essentially halted during the years of the Great Depression. Only seven houses were built during the decade of the 1930s, which is exceptional when compared to the large number of homes that were built during individual years of the decades preceding the 1930s. Building would only briefly regain its fervor in the Field Club in the years after World War II, when returning GIs were desperate for living accommodations. One builder, R. G. Freeman, catered to their needs by providing small, affordable English cottages in a block of lots south of the Field Club School. Sixteen new houses were added to the neighborhood between 1944 and 1962. The only modern introduction after 1962 is when the Field Club School was torn down and a new school building was erected in its place. This constitutes one of the non-contributing resources within the district. The Field Club neighborhood developed over a period of sixty years. During that time historic buildings were constructed that reflected a myriad of popular architectural styles. The extremely intact nature of the neighborhood is partly in thanks to the development of a now well-established neighborhood association. The Field Club Homeowners League deserves credit for maintaining the residential fabric of the neighborhood. 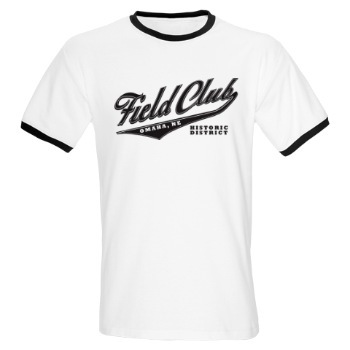 Many times within the past fifty years the Field Club itself has been threatened by modern development. Early plans attempted to locate a Veterans Hospital on the site of the Field Club itself, which was successfully opposed and currently resides some five blocks west of the district. Following this the grounds of the golf course were slated for housing the military veterans returning from their service in World War II. This was a serious threat because of the availability of federal funds in the late 1940s to accommodate this type of housing. The neighborhood association successfully defeated this proposal, yet again securing the future of the Field Club. It was at this time that the Field Club Homeowners League was officially established, becoming known as the earliest organized neighborhood groups in this area. Primarily important to the group was retaining the continuity of the neighborhood by strongly supporting single family, owner-occupied residences. 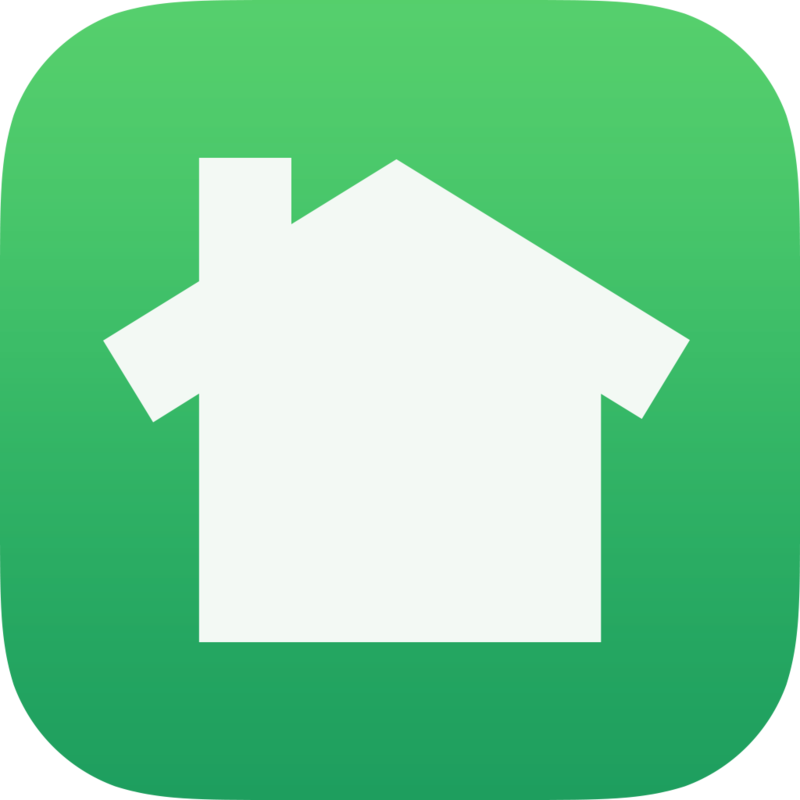 To accomplish this goal the Homeowners League successfully persuaded the city of Omaha to impose strict zoning regulations within their boundaries. The only rentals allowable to date in this neighborhood are whole buildings occupied by single families. Currently only one other neighborhood in the city has more strict zoning, and that is the Happy Hollow neighborhood where rentals are not permissible. Overall, the Field Club Residential Historic District is a product of the expansion and development of the suburban community in the city of Omaha, and is an exceptional example of the craftsmanship and talents of local builders and architects. Contextually it relates to the influence of early city planners on the residential landscape of the city and of the organized construction movement in later suburban development. The district retains an exceptionally high degree of historic integrity.